These are the professionals who are working on the project "Stage System", in charge to design stages and furniture for the European Capital of Culture 2019 events. Born in 1979, freelance architect works in the field of architecture and design, he graduated in architecture at the University of Naples, Federico II. In 2004 he took part in the workshop: ”Anàlisis e intervenciòn en el boulevard Parque de Genil” in Granada. Subsequently, he undertook various professional collaborations with architectural studies dealing with the design of residential, commercial and hospitality spaces, both nationally and internationally. Starting in 2009, he started his career as a freelancer, focusing on interior design and product design with particular attention to research, innovation and prototyping. His approach to an architectural design as a field of experimentation and intersection of different disciplines leads him to participate in cultural innovation projects with various subjects at local and international level. After she finished her masters degree in 2011, she won a scholarship and worked for one year in a London-based studio for research, urbanism and architecture. Back in Genova, she worked as a freelance architect and started in 2014 to collaborate with Joseph Grima and Tamar Shafrir in the newly established design research collaborative Space Caviar that operates at the intersection of architecture, politics, technology, and the public realm. Finazzi worked on various international and national collaborative projects such as La Biennale Interieur Kortrijk (2015), Fuori Salone del mobile di Milano (2014-2018), Mantova Capitale Italiana della Cultura 2016, and Biennale Saint Etienne (2017). Elisa Giuliano (Italy, 1990) is an architect, contemporary dancer and exhibition designer based in Berlin. Her multidisciplinary practice develops between architecture, performance, choreography, exhibition design, set design, urban design and spatial research, investigating how performance can be used as a radical tool to rethink architecture and its future scenarios. Elisa is currently part of the architectural studio Kuehn Malvezzi. In the studio framework she actively works on the making of publications and exhibitions. In 2017, Elisa was part of the interdisciplinary creative practice Studio Lukas Feireiss where she was dealing with research, communication, editorial and curatorial tasks for the production of diverse projects including international symposiums, exhibitions and publications. In the same year she took part as a performer in a staging of Anna Halprin’s Blank Placard Dance at the festival Tanz im August in Berlin. In 2016 Elisa conducted a dance residency at the 10th International Festival of Contemporary Dance la Biennale di Venezia, working as a dancer at the project Danze sulla Debolezza choreographed by Virgilio Sieni. In 1996 she attended her first ballet class and continued training as a dancer for more than fifteen years experimenting with different movement techniques and choreographers. In 2011 she went to study architecture moving through much wider, trans-disciplinary registers and obtaining a Master Degree in Architecture and Urban Planning at the Polytechnic School of Genova in 2016. Freelance designer with interests that go from industrial design to graphIcs, till food. His educational background range from architecture, engineering and design, one of his great passion together with vintage. He has lived and worked in San Francisco, Los Angeles, Stuttgart, Milan and Venice. Alberto has won numerous international awards and exhibited his works worldwide. He has also published in various design/graphic magazines and scientific journals. Alberto creative process is based on traditional craftsmanship in relation with natural materials (wood, metal, marble, ceramic, fabric and glass). The starting point is having a direct interaction with skilled artisans to understand their passion, feelings and dreams. This is used to inform the creative approach in a unique manner. In this way, the product elaboration is never the result of a defined and straightforward path but, instead, it is an evolutionary development that combined human skills and material behaviour. The final result is a melting-pot of clean shapes and soft lines, with defined functions, to give to the user new emotional experiences with the objects that surround his daily life. Gabriella Mastrangelo graduated in Interior Design from Politecnico di Milano in 2009, after graduation she worked for a practice specialised in interior and interaction design, based in London, for one year. 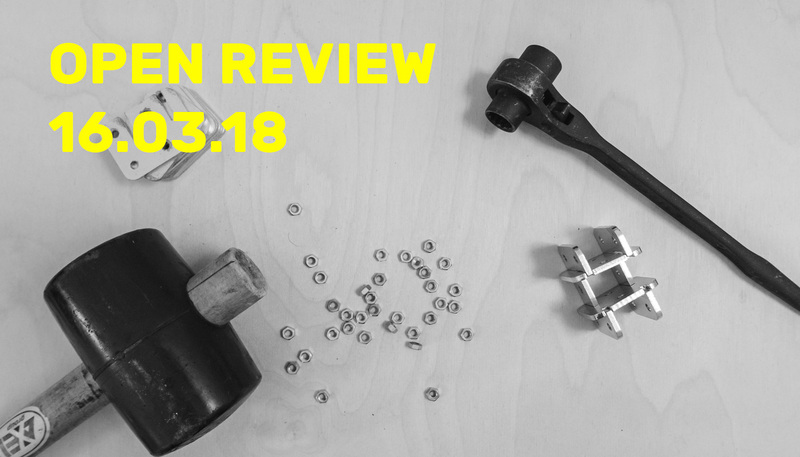 Upon her return to Italy she started her personal research about space as place of relations, experiences and participation and in 2011 she started Make People Do Lab a research project on crafts and participatory design practices, based in the Apulian region. In 2014 she joined Entropika, a multidisciplinary design practice base in Athens as designer. In 2015 she is gained a bursary at Consorzio CETMA, Brindisi, where she specialized in sustainable materials for manufacturing industries and design. Since October 2016 she founded Bordo, an interior and visual design practice based in Taranto. Her works have been shown at: Elephant&Castle Mini Maker Faire, London 2014, hABITAPULIA 2020, Salone del Mobile 2015, Next Design Innovation, Salone del Mobile 2016, Puglia Crossing Identities, Salone del Mobile 2017. Artemis Papageorgiou is an architect, multimedia artist and educator exploring the repercussions of play and computational media inside the urban landscape. Her work spans interactive installations, hybrid furniture and urban games, aiming at the active participation of audiences. After graduating from the Patras School of Architecture (2006), she moved to London to pursue her passion about interactive architecture. There she completed her MFA in Computational Studio Arts at Goldsmiths College (2009) and collaborated with various designers before moving to Athens. In 2011, Artemis co-founded Athens Plaython, the first street games festival in Athens, which run for three years. In 2014 she founded Entropika, an interdisciplinary design lab specialising in urban interventions and playful experiences, along with educational programmes on art, architecture and technology. Her work has been shown internationally, including the Salone del Mobile di Milano (2015-2016), Southbank Centre London (2015), Polytechnic Museum of Moscow (2014), Victoria & Albert Museum London (2010), Benaki Museum Athens (2010), Eyebeam Center New York (2008). Born in Monza in 1988, he is attracted to art since the early years of childhood. Despite this, he decides to direct his studies in the field of construction. Graduated in Building Engineering-Architecture at Politecnico di Milano in 2016 after the high school diploma as a surveyor, he cultivated meantime a strong interest in design and in the use of wood in its various forms that led him in the field of arts&crafts. He had the first contact with the temporary architecture in 2015 thanks to setting up of Terraforma music festival, experience that he also repeated in later editions. From there comes the passion for ephemeral architecture, seen as a perfect combination of architecture, art and crafts, which will make its main field of research and production. Since 2016 he is a member of the Camposaz association, with which he creates a pavilion in Rotterdam and one in Romania for WWF. From 2017 he collaborates with Periferica, a Sicilian urban regeneration center, now recognized nationwide. In the same year, together with his brother, he won the Box336am call, which brings to the creation of "cultural containers" a support for the initiatives present in the areas of central Italy hit by the earthquake. 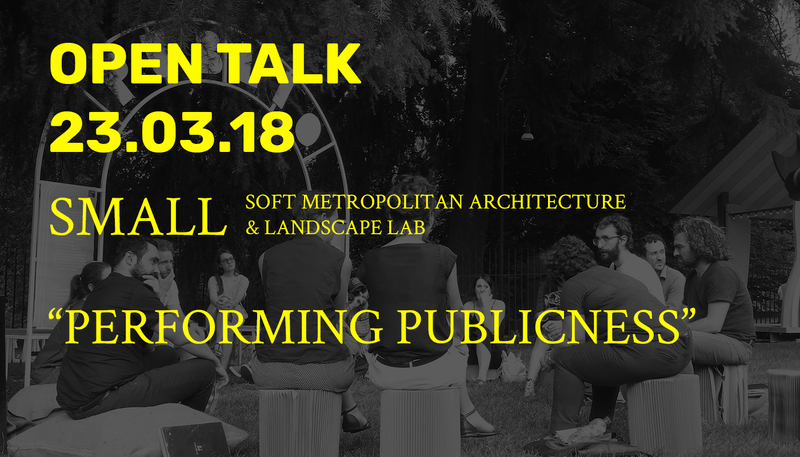 Mar 20 Open Talk - SMALL Lab - "Performing Publicness"